The Mothman is the name of a creature that has been reported in several areas of the United States, though most notably in Charleston and Point Pleasant, West Virginia. The original sightings of the creature date back to November 12, 1966 and it was reported by several independent witnesses that gave the same description of the creature. Though this creature has not been seen by large numbers of people, there are thousands, if not hundreds of thousands, that believe in the creature. The Mothman was described by several eye witnesses as a human sized man with large red eyes that were reflective in nature and moved about with the use of moth like wings. 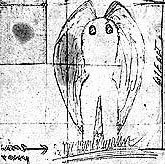 Many said that the Mothman didn’t appear to have a head and it looked like the large eyes may be set into the upper chest region. Reports from eye witnesses said that the Mothman was able to fly next to their car when they were driving in excess of 100 miles per hour! The first known sighting of the Mothman occurred on November 12, 1966, when two couples were driving late at night in one of the couple’s cars. As they were driving past the West Virginia Ordnance Works they all saw two red lights that appeared in the shadows. The couples were curious, so they stopped their car and realized that the lights were moving and upon closer inspection realized that they were two glowing eyes belonging to some sort of creature. The couples were terrified and drove at 100 miles per hour and the creature was able to keep up with them. The second sighting of the Mothman occurred a week later when four eye witnesses saw the Mothman flying over the same area. The next day, another eye witness was driving past the same field and saw the creature flying over a field and it followed him as he drove as fast as he could toward the police station. These were not the only sightings, in fact there were many more reports of sightings that same year and many even blame the collapse of the Silver Bridge on the Mothman. When the bridge collapsed 46 town residents died and many simply needed someone to blame so the Mothman seemed the perfect subject. There are many theories as to exactly what the Mothman was. To those that saw the creature, they believe that the Mothman is a mystical creature that may be out there either trying to do bad things and inflict pain on humans or perhaps warn people of impending doom. There are many people that said that they saw the Mothman in the days before September 11, 2001 flying around the World Trade Center, though there is not any documented evidence. Others believe that the Mothman is some sort of spy program. The field that the creature was seen flying over or around was a weapons storage facility of sorts in the past and many believe that there is reason to believe that spies of some sort would be interested in this area, though it is no longer in use for this purpose. Still there are other that believe that the Mothman is little more than a misidentified Sandhill Crane. No one knows for sure who or what the Mothman is, but this is a creature that is very much a part of the past and the present with books and movies being made about it and whole towns full of people that believe that if they go out to this area on a cool night that they just may come in contact with the Mothman. I do love mythical creatures, and my take on the mothman is this: there could be a giant megafauna sort of insect still in existence. But I am very critical of the sightings listed here–sounds to me like the young couple could have been drunk or under the influence of drugs when they claimed to see the mothman. I knew a man who said that he saw several giant moths circling his car–after surgery when the knock-out medicine was still in his system! (He wasn’t driving.) Wouldn’t you have to be under the influence of something to be driving in the middle of night at 100 miles per hour? And this incident occured in the 1960’s, meaning there was more chance for drunk driving to happen. How do you know if He’s a boy? LOL, your comment is so hilarious and true. 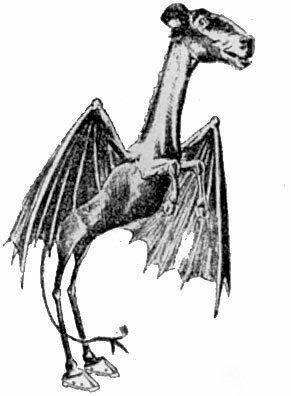 The cryptid I like is really the chupacabra. My friends think im crazy but I stil say im going to prove them wrong. My name is Matt Faraone and im going to prove them wrong in 13 years im only 11.
that is so interesting can’t wait to learn more on the MOTHMAN! Some times you need to ask yourself,” Are we really that big in the grand sceme of things?”. We surely can’t think that we are the top, and things like the mothman/thunderbird are proof. Look up the great battle of Point Pleasant and read about Chief Cornstalk’s curse that he place on the land because the settlers killed him for the land. Now, wonder about Indrid Cold contacting Woodrow Derenburger of Hunington WV(its a town about 30-45 minutes away from Point Pleasant) around the same time of the Mothman’s appearences. See how complex this is getting and this is barely scratching the surface. I personally believe that the mothman, whatever it is, is here in numbers, and not only that, is intelligent like us. Watch the episode of Paranormal State where they feature the Mothman, you will see what I mean by sentient. As far as numbers go, the mothman has been seen in different colorations and heights, indicating a population. As a side note, there IS a photo of a mothman near the WTC after it’s collapse. Type in “mothman photo” in google. Should be second from the top on the very left of the screen. I think that the mothman is really cool. I had to do a report on him in my forensics class and i have to say that its really cool!!! Cryptids are cool so I read and look up cryptids.Bigfoot and Nessie AKA the Loch Ness monster.But they say Nessie can be a mith because they think it could just be an circus elephant in 1933. Then there were more sightings in 2005 by a person named Clark.Bigfoot is going on so perfectly finding fur, footprints,and more sightings in Canada well near Washington.And Mothman and Owlman are awsome to Owlman was chasing 3 boys into a field then the boys hid in a log or something. And Owlman ate a 9 year old kid witch was brothers to 2 more boys. The boy got eaten because he said,” Lets go and poke that thing in the field.”So he goes and pokes it then Owlman turns around and eats him.Mothman says to be an alein from space because when sightings were seen red lights were in the sky. Mothman actaully looks like Owlman because he looks like he has brown fur. But has red eyes and Owlman has yellow eyes.The Chupacabras killed tons of people and he is located in 6 countries and U.S.A.The Fiji mermaid wich was sighted only once in the Chinese sea fishermen were fishing and they caught it.Once they were all a sleep.The mermaid jumped off the ship and when the crew woke up it was gone back down in the sea beds. And the Zuiyo- Maru Monster was caught on a Japanese fish boat.A young sailor took 5 photos before dumping it back to see.The Onza tho looks like a cougar.But I can’t believe that they said that the Cardiff Giant was a hoax I saw it for real in Cooperstown New York at the farmers meusem. The Tasmanian Tiger was a cryptid because it only was extinct in 1936 but someone said they saw at a lake witch is hard to believe.Well thats all I have to say for now. But I hope they find Bigfoot clues! I think the moth man is a creature that warns us of large scale world wide disasters before they occur or it could be an angel of death coming to collect souls.